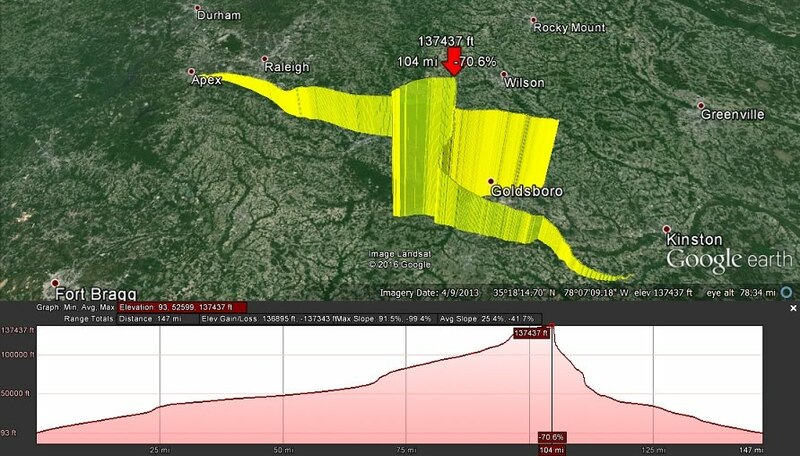 Last weeks flight by NC Near Space showed how easy near space glider flights can be. Paul from NC Near Space picks up the story. 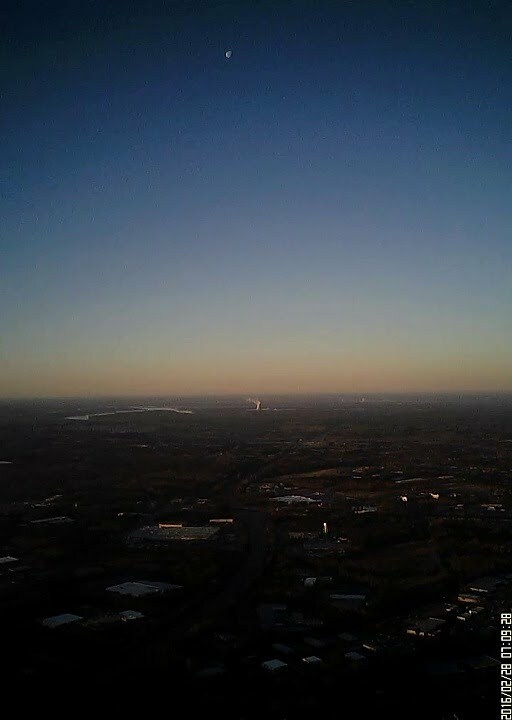 “On Feb 28, 2016 Paul launched a flight of the NSL-41 rig with a larger balloon and a different camera angle. It was a perfect flight as HAB goes. And a glorious day for driving in eastern NC. 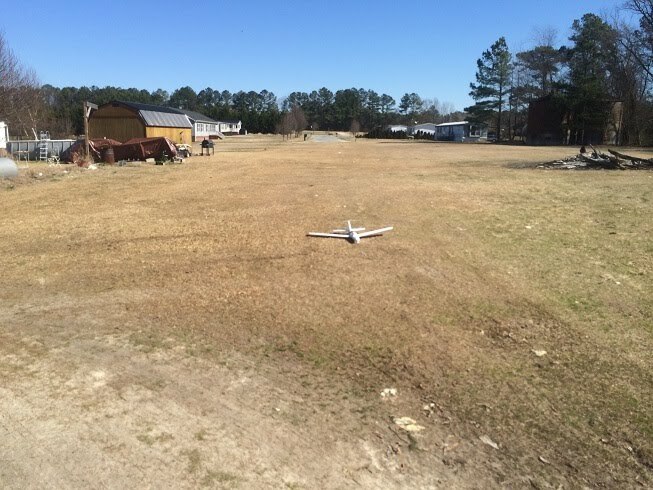 The payload was a 4′ foam glider with an AP510 APRS tracker and an 808 #16 B camera. Like NSL-41, the balloon was attached to the glider’s nose with a plastic hook and ring. 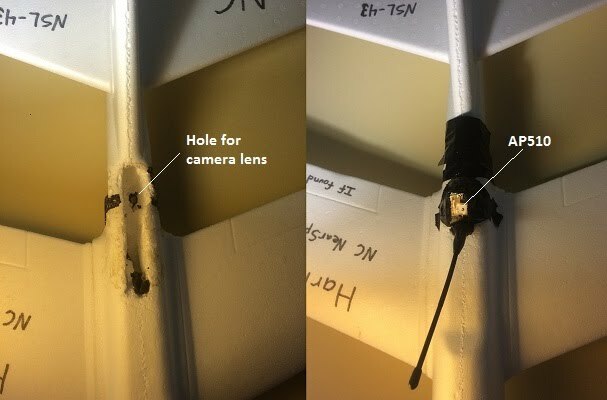 This time, the camera was mounted such that the lens was looking out the bottom of the fuselage of the glider. The camera circuitry was placed beside the batteries to keep them warm. This resulted in the 16×9 aspect ratio of the camera being along the length of the glider — requiring the video to be rotated 90 degrees to be seen correctly (ie. it looks like a bad iPhone video). 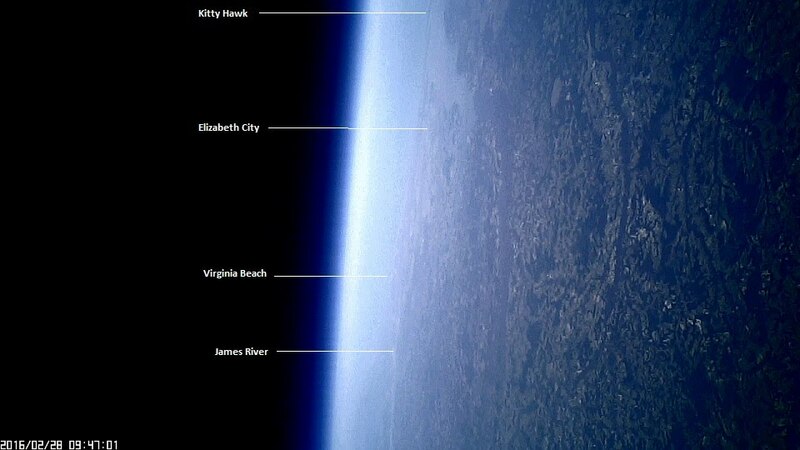 With this perspective though, the camera records the horizon during ascent and the ground during descent. After previous glider tests, a large 1600g cell was chosen for this flight. A 6m bridle was added in hopes of minimizing snagging on the balloon like NSL-41. The AP510 ran on its native 2900mAh LiPo and an additional 2000mAh LiPo was added for the camera. 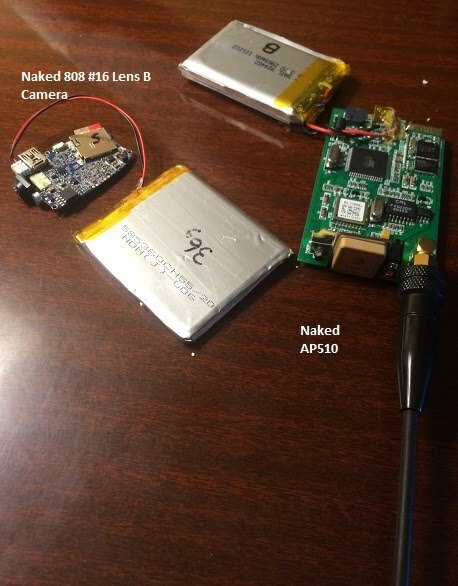 This put the entire payload at 370g, but ensured that an over-current condition on the camera would not doom the APRS transmitter. 2000mAh wasn’t expected to last the entire flight, but it fit the size and mass budget. The AP510 was set to record information internally at 5 second intervals for extra data points. 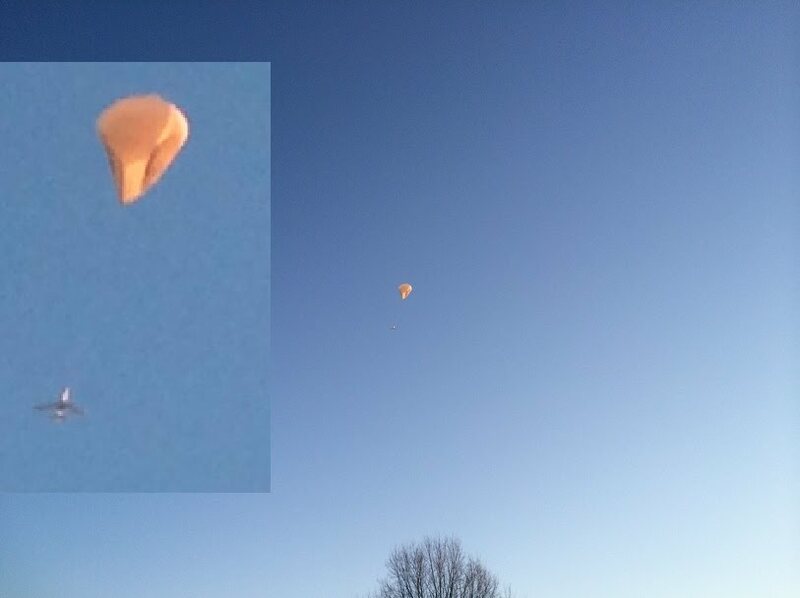 The balloon was filled with enough hydrogen to give it about 1000g of neck lift, or roughly 4m/s ascent rate. This flight was launched from Paul’s home in Apex during a brief lull in the winter jet stream. The track was a meander back and forth in eastern NC. 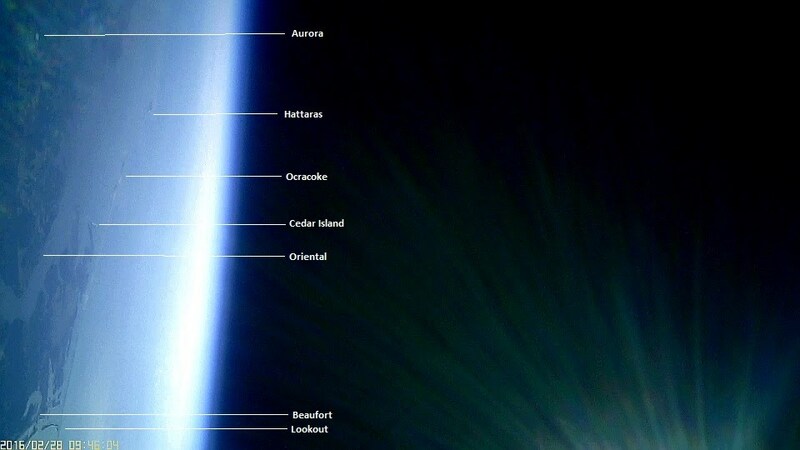 It was launched just after sunrise, while winds were calm, and the sun angle gave more depth. Balloon pieces after burst. Wilmington area in the background. Maximum recorded altitude was 41908.5m (137495 ft). 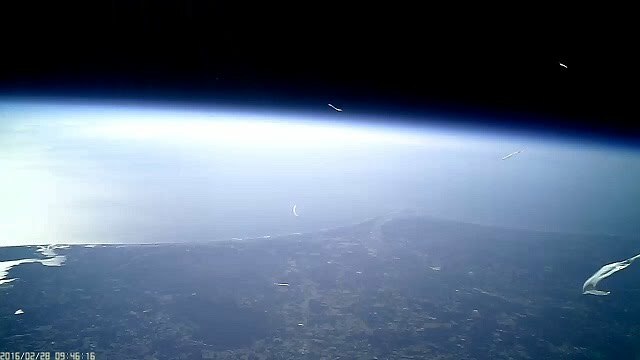 At burst, the balloon and bridle detached [0:43 in the video] as expected and the glider nose-dived towards the earth. 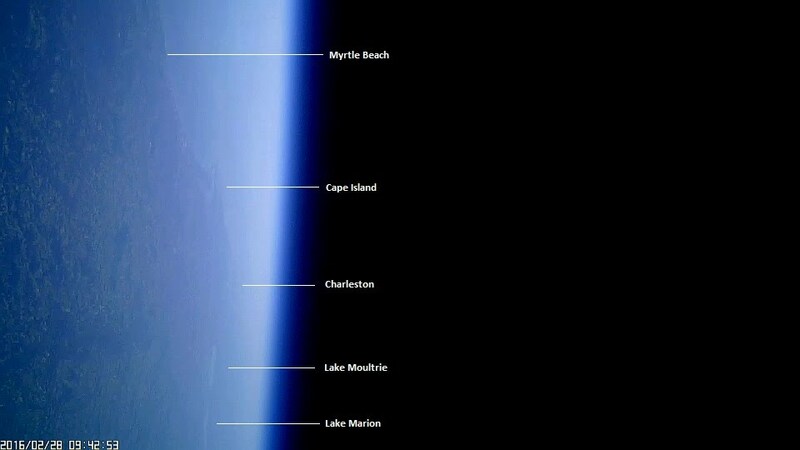 The thin air gave us our highest recorded descent of 444mph !! Eventually the surfaces of the glider began to catch thicker air and it slowed down. To shed speed, the glider was balanced to generate a stall. So it stalled or performed loops all the way down. Due to the light winds and long flight, the recovery crew was able to be at the landing site and made several attempts to view the glider as it approached. It finally came into view in the last 30 seconds of flight — looping and darting. The glider stalled at the tree tops and then dove nose-first into the ground, snapping off the plastic nose hook. The crew recovered the payload within moments of landing. There was concern at the beginning of the flight that there had been a miscalculation of weight or lifting gas — the ascent rate started off low. But once the sun was fully up, the ascent rate picked up. There was a slight dip in the ascent rate approaching burst, but nothing like the pre-burst drops to zero as seen in other flights. 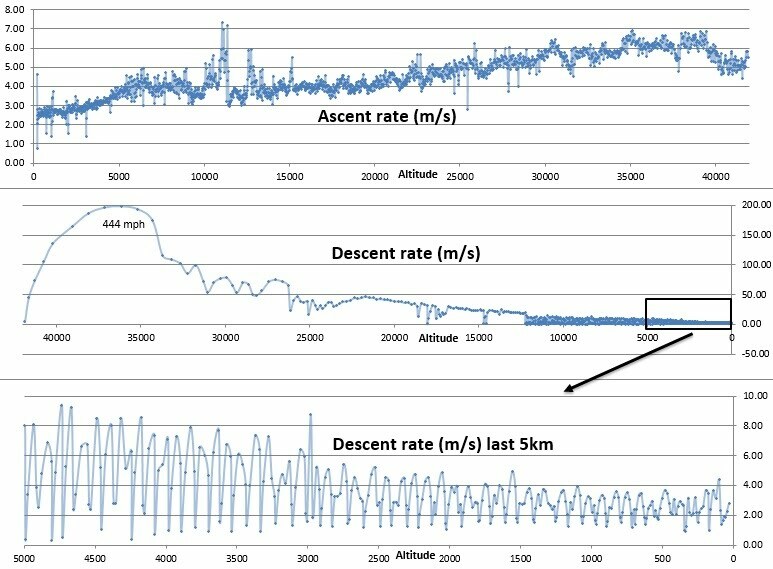 The descent rate plot clearly shows the stalling of the glider. Note how the internal temperature increased above the Tropopause. The outside of the electronics compartment was covered in black duct tape (or colored with a black Sharpie) to increase solar heating. Upon descent, cold air was forced into the compartment and the temperature plummeted. This particular AP510 firmware has a known issue with correctly recording on-board temperatures below 0C. But the APRS transmitted temps worked fine, so we were able to reconstruct the temperature profile. Note, APRS trackers cannot be used on UK HAB flights. Diego, Paul from the team told me, “The data from APRS can feed directly into Google Earth and can create these automatically. This is often useful to compare live data with projections.